In this post, we will not be talking about genuine negative reviews from unhappy customers. We highly recommend that you carefully handle your negative reviews. They show customers you are serious about customer service and a negative review can turn into a pretty powerful positive review for you in the future. In fact, we have an excellent post on handling bad reviews we recommend you read. In this post, we will be referring to fake or false reviews and how to remove Google reviews and Facebook reviews. Don’t let negative reviews ruin your online reputation. With 5starRocket online review management platform, you can stay ahead of your customers’ complaints before they are posted online. Negative fake or false reviews are written to persuade customers not to take action on the product or service being reviewed. In many cases, they are written by people who aren’t previous customers (possibly a spammer, disgruntled employee, a direct competitor, etc.) and are written to damage your business reputation. False or fake reviews can be damaging to a business who is working to build and maintain a solid online reputation. Unfortunately, fake reviews are a common occurrence and have impacted many businesses. Here is what you can do if you have been impacted by fake or false reviews. Option 1: Reporting the review. Look for the three dots in the right corner, Click it. Then click “Give feedback on this recommendation”. From the pop-up, select the option that best describes the reason for reporting the post. From here it’s a waiting game. Facebook’s review process isn’t instant. A business does not have the ability to delete a single review or recommendation, only Facebook does. 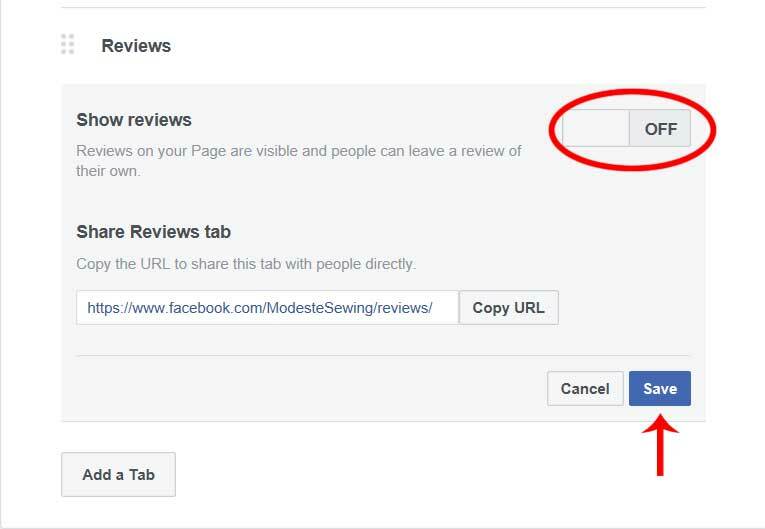 To avoid further damage from fake reviews you can opt to disable the Reviews Tab. Disabling the review tab will not cause any reviews to be deleted. It will only hide them from your business page. If you enable again at a later date, all previous reviews will come back. Step 1: Click Settings at the top of your Page. Step 2: Click Templates and Tabs in the left column. 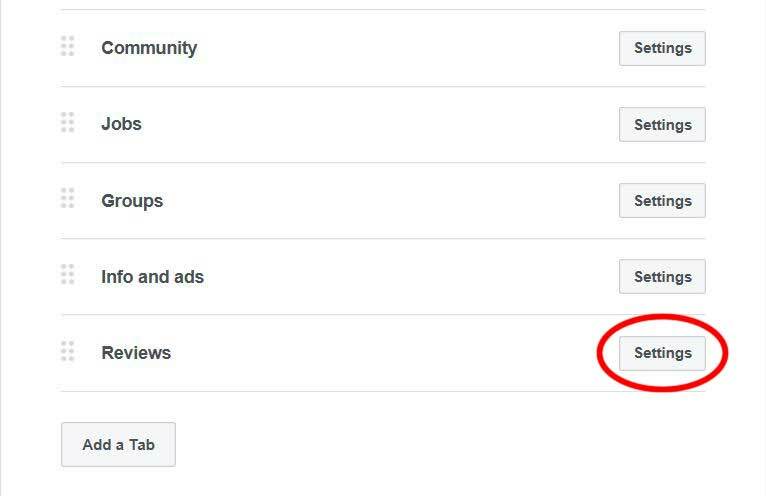 Step 3: Click Settings next to Reviews. 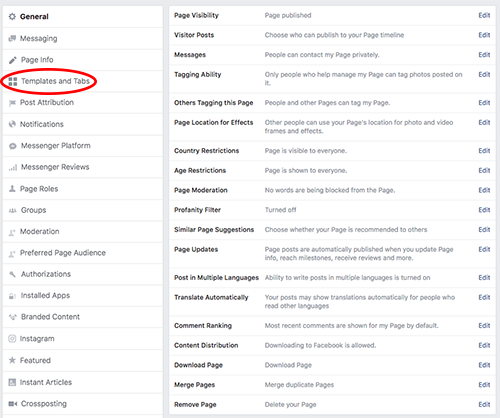 If you decide to reactivate at a later date, all it takes is going back to the settings page and moving the slider to “On.” It will only hide them from your business page. If you enable again at a later date, all previous online reviews will come back. Our online review management platform helps you get more great reviews, start a Free Trial today and get started. We want to reiterate that you should never delete genuine negative reviews from an unhappy customer. It is always best to resolve any issues to maintain a strong online reputation. Our dealing with bad reviews blog post is an excellent resource on doing just that. Read on to help with handling fake reviews. Deleting bad reviews from Google isn’t as simple as clicking a delete button, Like Facebook, Google reserves the right to delete reviews themselves. Once an online review violates Google’s review policies it can be flagged for deletion. Choose your business location and click Reviews from the menu. Find the review you’d like to flag, click the 3-dot menu, then click Flag as inappropriate. You can have the process expedited by requesting a callback, requesting a chat, or emailing support. Here’s how. 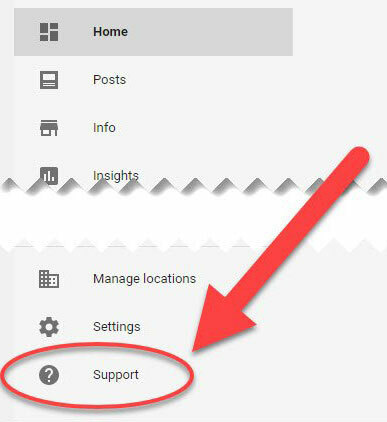 On Google My Business, click Menu, scroll down and look for Support. A popup will appear, look for Contact Us, and click Need More Help. Choose Customer Reviews and Photos > Manage Customer Reviews. 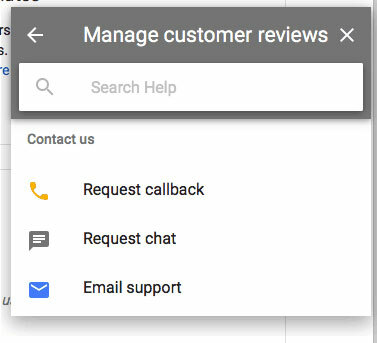 Choose from any of the three contact options: request callback, request chat, or email support. Finals Thoughts: Having a solid online business reputation is an important part of your brand. From handling negative reviews to dealing with fake reviews, it can be tough. Without the right online review platform by your side, it can be difficult. In the end, online reviews matter, so getting more good ones, while dealing with bad ones should be part of your strategy for your business. Our online review management platform allows you to stay ahead of the game with a full set of online review management features which are fully customizable. How to remove Google reviews is not a slam dunk easy fix, and it won’t happen overnight. Thus, the need to start an initiative to collect more user reviews. Start a Free Trial today and get started.